This extract taken from the Teaching Assistants Training Programme, Unit 3 – Section 3B, looking at communicating with children and then communicating with adults. As with any organisation, communication is vital if everything is going to work smoothly and consistently. As a teaching assistant you will be communicating with your colleagues in school, the children and possibly with parents and carers. Therefore it is important to develop the effectiveness of your communication skills. Talking to the children may sound easy, but it can be tricky. Children certainly do not like to feel they are being ‘spoken down to’ or patronised, even if this is inadvertent. On the other hand, children do not have an adult range of vocabulary or understanding of complex language. One of the reasons they are at school is to learn these skills. Listen to how other adults talk with the children and you will soon pick up on the language and tone that they use. Look at the planning for the lessons and work on display. This will often include vocabulary that is being used with the children and will help you pitch your conversation at a level the children will understand. And try asking the children if they understand what you have said. They are normally pretty good at letting adults know if they don’t! How do other adults in the school communicate with the children (this might not always be through talking directly)? What works well and why? Your main communication with the children will be through talking, but you may also be producing resources such as worksheets and displays which will use written language. Consider the language you use. Is it appropriate to the age and ability of the children? Make sure you check for any spelling or grammatical errors! Remember you are a role model. Some classes have access to shared online forums and learning environments. Children can post work or work collaboratively online. It may be appropriate for you to access this and comment on pupils’ work. Is there a class online forum, Google docs or any other shared platform? Task 3B1 Watch Film Clip 3B1 of a teaching assistant talking with the children. You and your colleagues are working in school to help the children learn and make progress. Communication is vital to ensure this happens effectively. Good ideas should be shared and success celebrated. Tell people if something they suggested worked well. Thank people for help or advice. And give advice and help freely when asked. If you have an issue or disagree with something, then raise this and discuss it with the people involved. Any communication must be carried out in a professional and courteous manner. The staffroom is the hub of the school and there will be professional conversations about children and their learning going on at break times and lunchtime. Ask questions and join in the conversation if it is relevant to your work. But remember confidentially, for example parent volunteers may be in the staffroom. And don’t get drawn into unprofessional conversations. The staffroom noticeboard will also keep you informed of work in the school and of training opportunities. It will keep you up-to-date with what is going on, so make sure you read notices regularly. Many schools have a staff server where documents and resources are stored. Remember to contribute to this when it is appropriate to do so. Schools strive to build positive relationships with the parents and carers of their children. There are many ways they do this. Which happens in your school and are teaching assistants involved? How and when do parents and carers meet with school staff? How does the school use ICT to communicate with parents and carers? If you need to speak with a parent or carer about a child’s behaviour or issue with their learning, seek advice from another member of staff. If it is your role to do so, try telling parents and carers the good news every so often too! Ask if you can observe a teacher or TA meeting with a parent to discuss a minor issue or to share information about the child’s progress. How is this arranged and organised? How does the teacher or teaching assistant manage the conversation? Are there any particular phrases or approaches that engage the parent or carer? What are the outcomes of the conversation? For more information on teaching assistants, keep an eye on the Focus Education blog, find us on Twitter @focuseducation1 or get in touch with the Focus Education office on 01457 821 818. 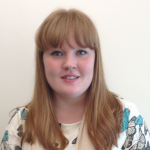 Vicky is the Creative Marketing Executive at Focus Education. She creates the lovely pictures and pulls together the blogs from the wisdom of our consultants.